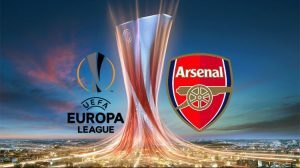 So we kick off our first ever Europa League campaign tonight, although Arsenal won a previous reincarnation when it was called the Inter-Cities Fairs Cup. A home game against Cologne should be an easy start for the Gunners, considering that our opponents have lost all three of their opening games in the Bundesliga this season, but like Arsenal they finished 5th last season which is why we are meeting them tonight. But we are better than that, as we showed in our destruction of Bournemouth this week, but a lot will depend on what sort of team both sides put out. As it is Koln’s first European tie for 25 years I’m expecting them to at least try, whereas Wenger is guaranteed to make big changes with Sunday’s game against Chelsea in mind. It is being reported that Mesut Ozil and Aaron Ramsey are definitely out after Wenger said today: “On the injury front we have no big problems, a few players have had some response to playing two international games like Ozil and Ramsey, so they are rested completely. But overall the injury situation is not too bad.” Alexandre Lacazette, Petr Cech, Laurent Koscielny, Danny Welbeck and Granit Xhaka, are also expected to be left out of the squad. Coquelin is injured, so I am going for a new look midfield in Elneny and Jack Wilshere. This will make predicting the starting line-up very difficult indeed, but I am going to have a brave attempt! How does that look to you? But I admit it is a guess as we all know Wenger will not be taking this competition overly seriously unless we are completely out of the Top Four race…..
– Fatboy Sanchez needs game time to get him back into form and he needs a goal to kick start his season. Play him for 50 minutes in readiness for Sunday. – Debuchy over Bellarine as we need the speed star fit for Chelsea. – Jack is not ready to start a competitive match, I would be surprised if Wenger would throw him in following his comments recently. Throw him in the last 20 minutes. We have another cup game soon where he can start. – Hope Nelson and Reine will get a run out too. Jeff does not look fit. Seen the training live. Same with Iwobi. Not sure why people say Sanchez is fat, have you looked at Iwobi? He really need to run, a lot just to match Sanchez abs. Not sure if Debuchy will be given the nod although probably he deserves some redemption. I have the feeling though that Nelsson will be the RWB although we all know that the first position Wenger puts someone wanting to break into the firs team is the much feared left flank. For Wilshere I am 50/50, I will not be surprised if he starts or if he doesn’t. One point here for which (maybe) some of you will not agree. I would not have played Cech at Chelsea. Simple as that. I will go with Ospina simply because he does not have any past time there. I was surprised in the FA Cup final when Ospina was sent between the sticks. I expect the same surprise on Sunday. I really do. That is why I would have played Cech tonight and have Ospina ready and hungry for Chelsea. Would agree with that- in no way should Cech play at Chelsea. – Your proposal for Ospina over Cech at the bridge sounds great. Though I would prefer Ospina plays tonight first so that we have a proper look at his form and get him ready for Sunday. But knowing Wenger he can never drop Cech. – As for Nelson, as much as I like the kid I feel it would be stup!d of Arsenal to play an unbalanced backline of Chambers / Holding / Nelson and Niles. That would give aging Mert and Elneny a lot of work to do hence my proposal for Debuchy for experience. Nelson can come on from the bench. – Its a shame if Iwobi and Reine are looking out of shape for such young players. The modern day youngstars lighting up the world now are physically fit freaks (Mbappe / Dembelle/ Lemar/Ali/Sane/Rabiot/etc). Our boys need to take better care of themselves. Sanchez doesn’t even need to be a 100% fit to perform, his got a football brain and experience to back him up unlike these young guns. I could see you line-up work. It should be more than strong enough to win the game. Having said that it would be a mistake to underestimate the Germans. I would not mind seeing Nelson in the starting 11 or at least with a 30-minute cameo. of the Bundesliga = 18th. Koln’s UEFA coefficient is 15. Arsenal should stroll to victory. Make sure the expensive deadwood all play. Mertz 90k p/w Giroud 110k p/w all play. Arsenals underdog status going into the Chelsea game. but Chelsea has 2 games more rest before the week end game. If there’s one thing we learned in the last 21 years is that we have maybe one good season in Europe followed by ten $hitty ones. Hope this is the 11th season. Koln comes as the underdog knowing they have nothing to lose and everything to gain. Will be surprised if they would not put a huge fight. I’m looking forward to seeing Mcquane. See if it could be true that allot of the biggest clubs are looking to snap him up on a free next year. I don’t remember seeing much of him, there was always others more closely watched. But reports are saying that this lad is special now, strong ball winner and can play, sounds like what we need. We’ll know more, whether he plays or not. I’d be great if one of them rose from CM right about now. Bielik Chambers Holding, it’d be interesting seeing the three of them, but I’d expect a senior player to play, maybe Mert. I keep forgetting we’re playing tonight, certainly makes Thursdays interesting again. For once, we hopefully won’t be the whipping boys of Europe this season, so hopefully a good win tonight. Where is the speed in the back 3 in that choice of players?